For the past two months we’ve been searching high and low for a house. We’ve come real close with a couple of them, but it didn’t work out for us. Technically being first-time home buyers, this process is much longer than we anticipated, because we’ve never dealt with this before (we live in a double-wide, and that process only took us a month!)! Anyway, moving on, and hopefully sometime by next spring or summer we’ll be in something new, or new-ish. But for now, let’s discuss something more light-hearted and melt-in-your-mouth delicious. I have a huge obsession for peppermint patties. If I’m stopping by the local grocery store during my lunch break I usually pick up one peppermint patty and eat it on my way back to work. But sometimes if I’m really needing a peppermint patty fix I’ll buy the bite-size ones. OMG….I want one right now, pronto!!! With my peppermint patty obsession you’d think I’d make homemade ones a lot, but I actually don’t. In fact, I only made them 3 times in my life! Hard to believe huh? 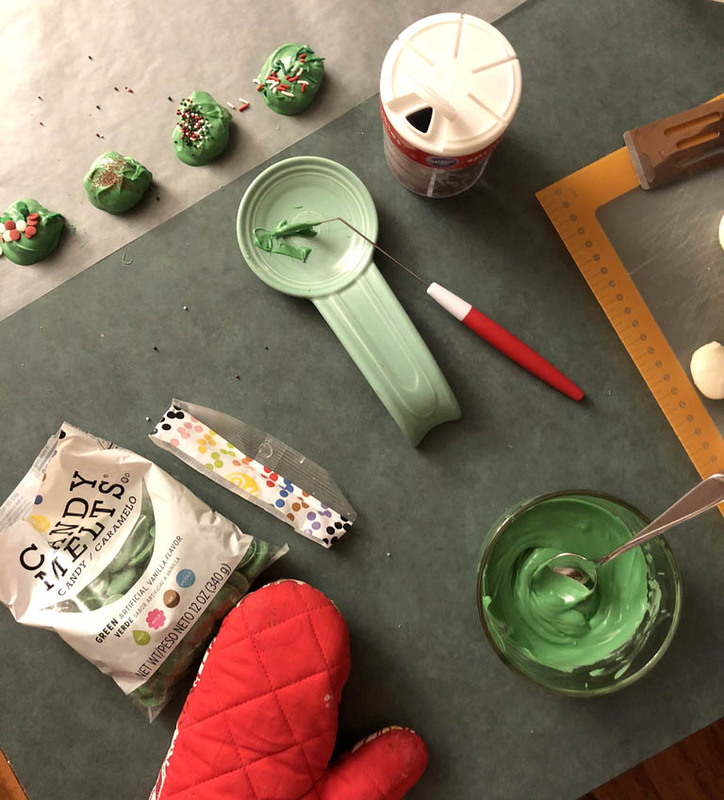 They’re very easy to make, but sometimes they can get a little messy. 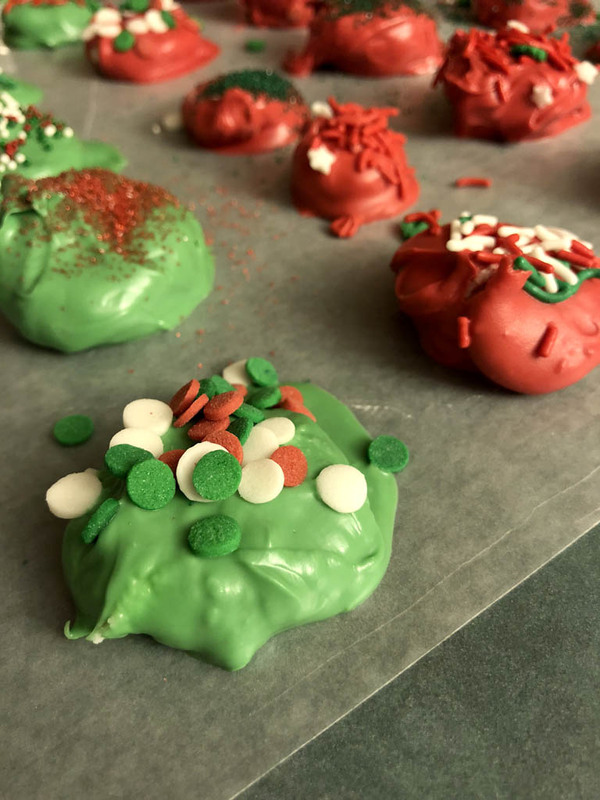 Making the peppermint creme filling is like making frosting but without the milk, and you use peppermint extract instead of vanilla extract. 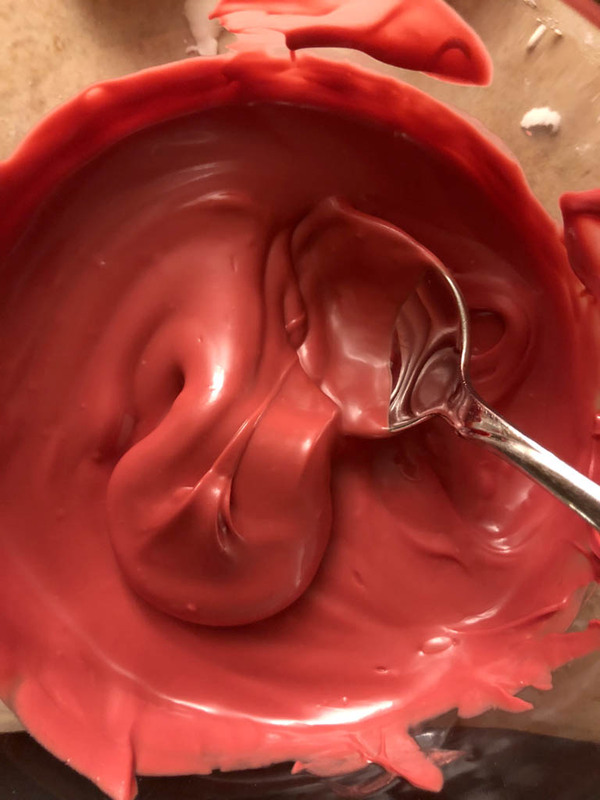 The key to getting a much firmer creme filling and a better grasp at them is to wrap it in plastic wrap and allow it to chill for a couple hours or more. For my first batch I left the creme filling sit in the fridge for 2 days because I didn’t have enough time to make them right away, but the filling was firm and wasn’t dry. After 5 days the filling does begin to dry out though, so if you want to make the filling ahead of time, you can leave it in the fridge for no more than 3-4 days. I cut off a section at a time, then cut off small pieces and roll in my hands to create a ball. 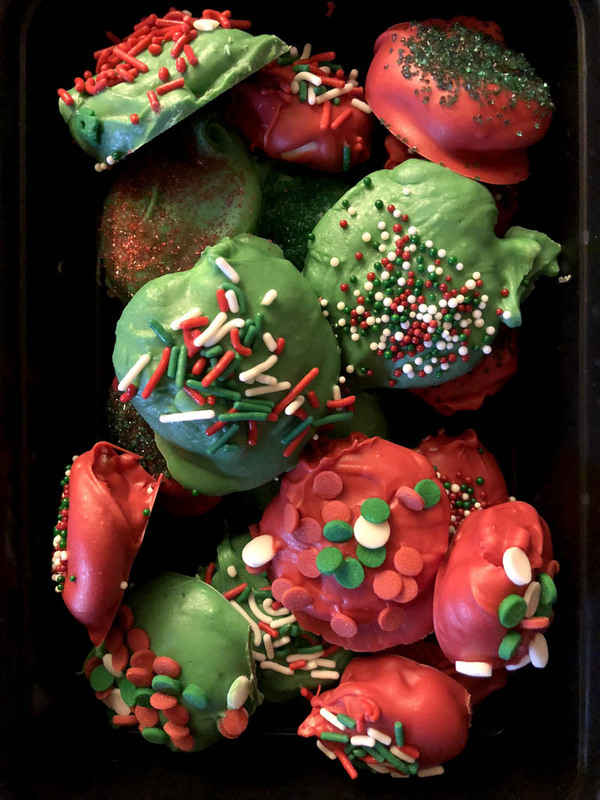 Then I flatten each ball a little bit and place on wax paper until they’re dipped into the melted chocolate. 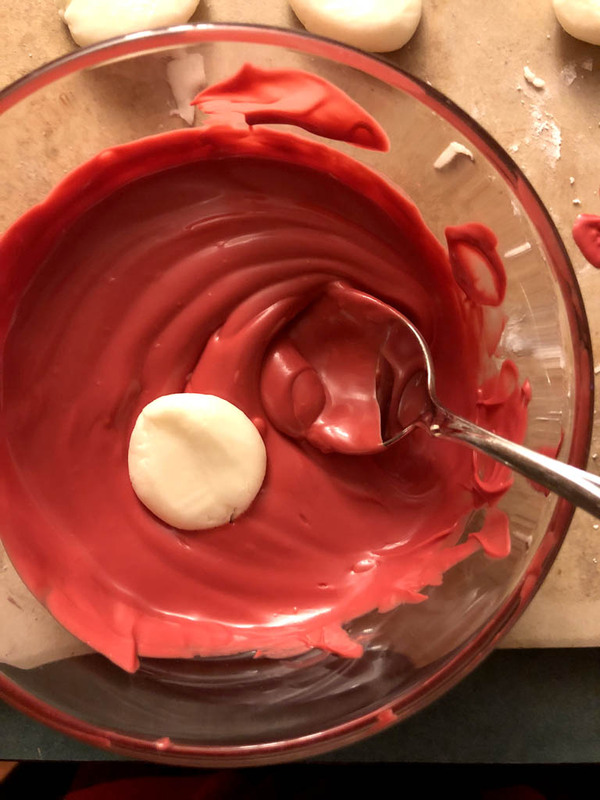 I place one creme ball into the chocolate and cover it up with a spoon. Then I take my candy scoop and scoop it out of the chocolate and place on wax paper to completely set. 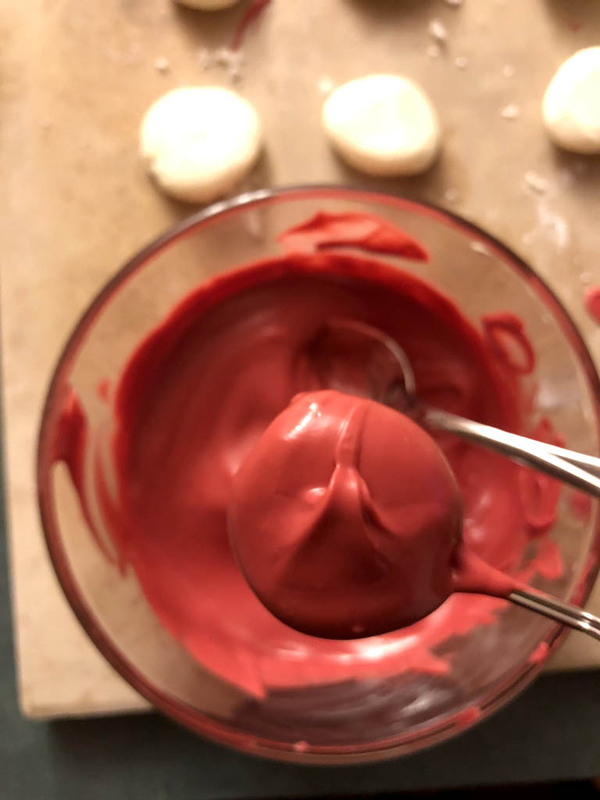 Now you don’t want to leave the creme balls in the warm chocolate very long or they’ll begin to get real soft and may melt, so be quick. Once they’re set you can store in a container on your counter top or give them away in cute treat bags. Since this may be my last post of the year, I wish all of you a very Merry Christmas and I’ll be back in 2018 with more sweets and other fun stuff!! – With hand mixer, combine powdered sugar, margarine and peppermint extract in a large bowl. The cream filling will look like coarse meal at first, but it’ll stick together. 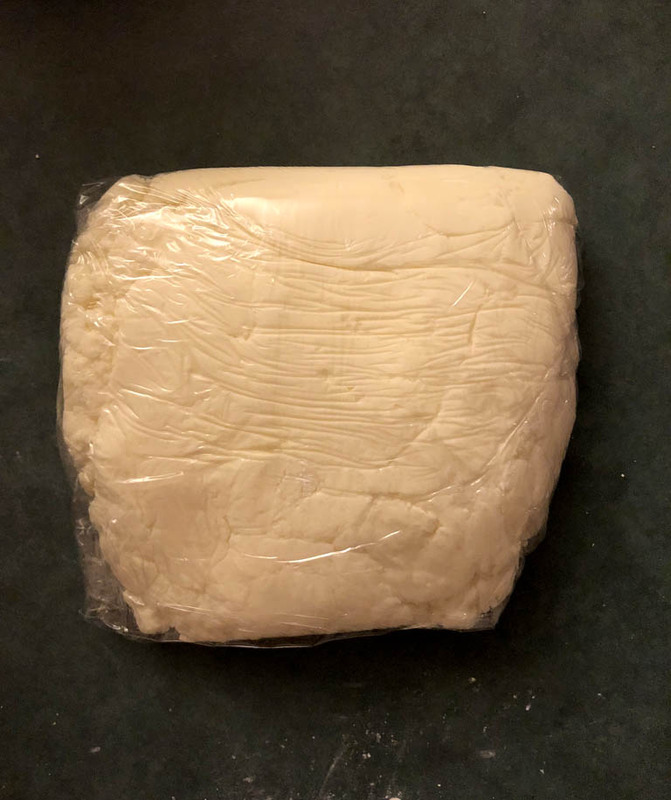 – Once cream filling is mixed, scoop out onto a long piece of plastic wrap. Roll up the filling with the plastic wrap, flattening it out a little as you wrap it. – Place in the refrigerator for 2 hours or until cream filling is firm to the touch. You can leave the filling in the fridge for no longer than 3 days, or it will begin to dry out. 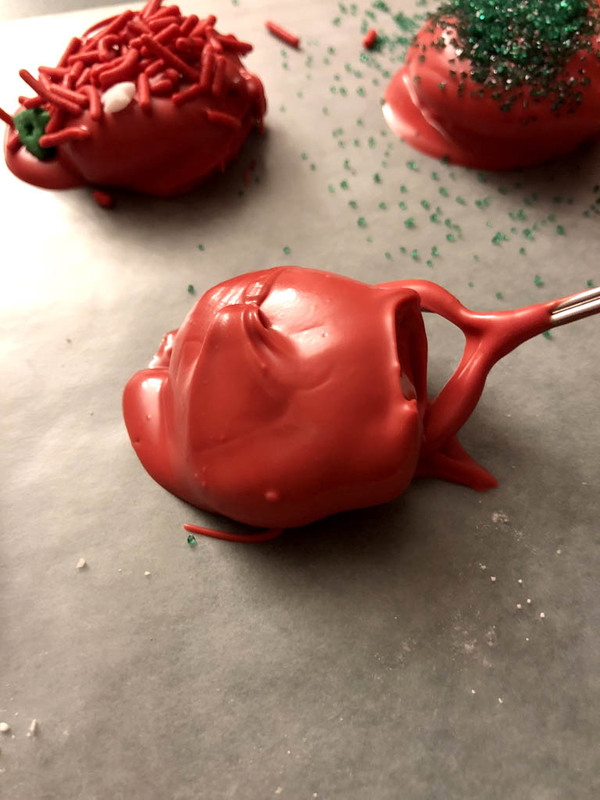 – When ready to make your melts, unwrap the filling and slice a piece of it lengthwise. 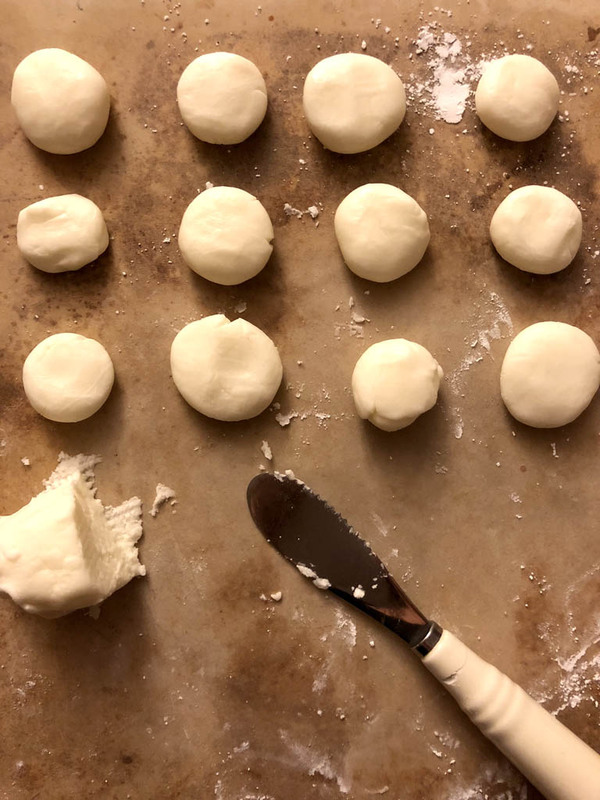 Cut small pieces one at a time, and roll each piece into a ball with your hands. Flatten the ball of cream in your hands and place on parchment or wax paper. 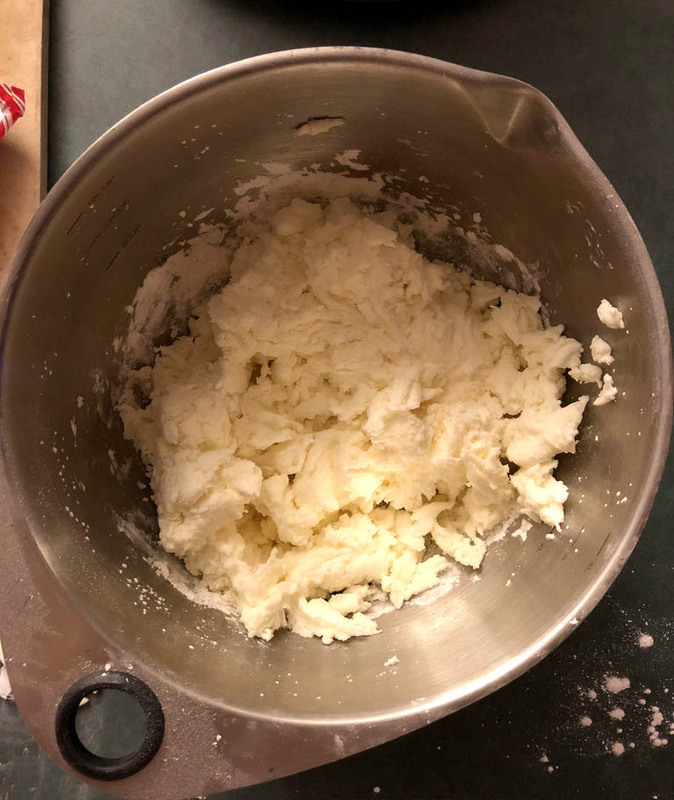 Continue this process with the rest of your filling, or you can make so many patties at a time if you’d like; place leftover filling in the fridge until it’s time to make more again. – Follow the melting directions on the back of the melting chocolate package. Once chocolate is melted, place one cream patty into the chocolate. Using a spoon, cover the patty with chocolate. Then with a fork or candy scooping tool, remove the patty out of the chocolate and place back on parchment or wax paper. 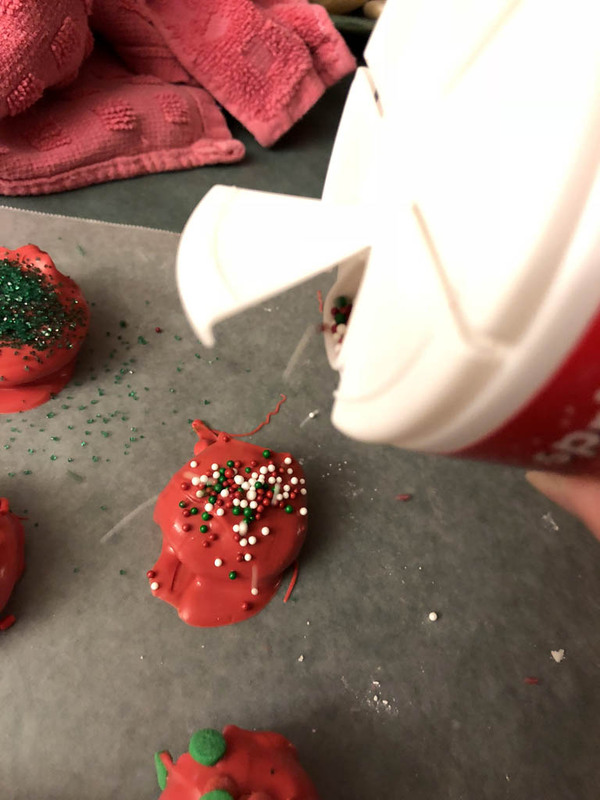 Use sprinkles for garnish if you’d like. Allow to set complete before placing into containers for storage.